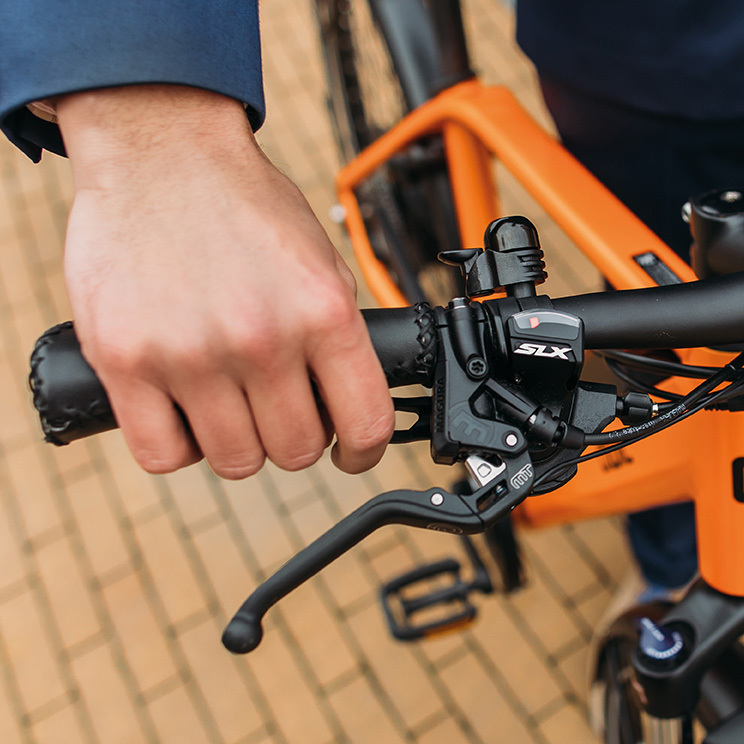 From the Performance range of QWIC, the leading Dutch Bike Brand, the RD10 Speed combines speed, design and sport into an easy to use daily commuter ebike. Hydraulic disc brakes with double calipers reinforce stopping power and safety. 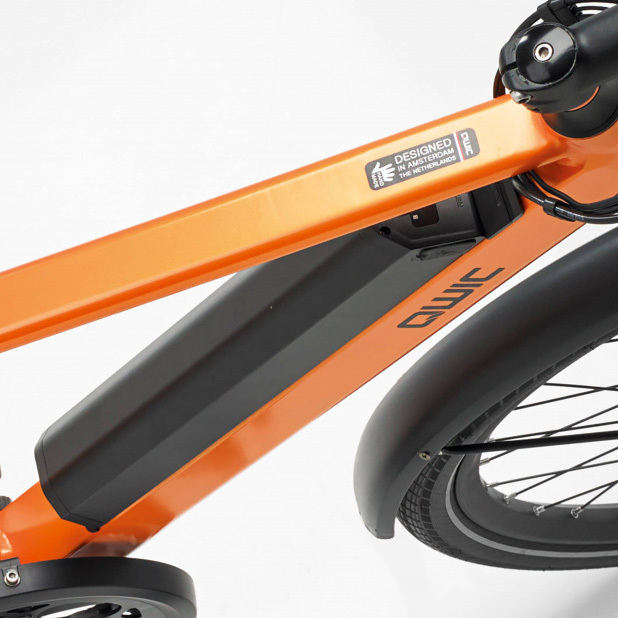 Available in a stunning chalk white, dutch orange or sleek Matt Black, the RD10 Speed is available with two battery power levels, both capable of propelling you up to 28mph. 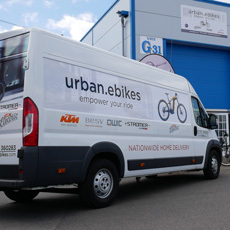 Fully equipped for fast bike rides through the city, it will quickly and safely deliver you to your destination. Please be aware of the legal and insurance requirements due to the higher speed capabilities of this high performance electric bike. Hydraulic Magura MT-5e disc brakes with interruption sensor. 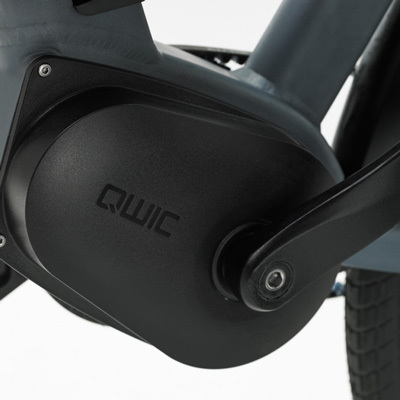 The QWIC RD10 Speed is the ultimate commuter vehicle. 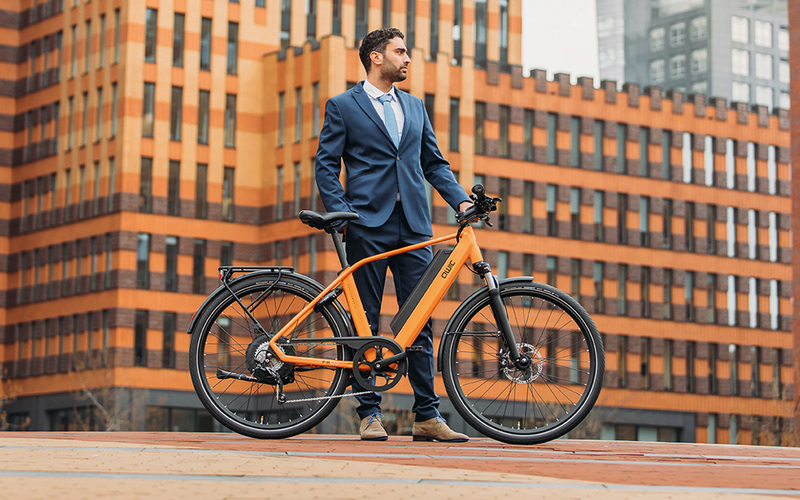 Capable of 28mph, the Dutch designed bike sees you through traffic faster than mosts cars, and without the maintenance costs. 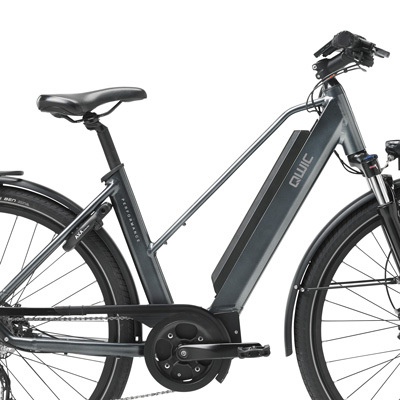 Hugely popular in The Netherlands, the bike's full potential has yet to be realised in the UK. The 10 Speed Derailleur gives smooth gear changes and sporty performance. 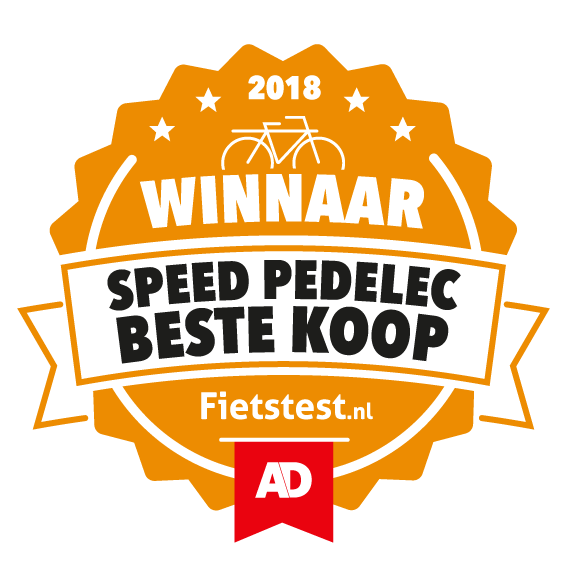 The RD10 Performance Speed model went on to beat Riese & Muller and even Stromer in Fietstest's Speed Pedelec Category. 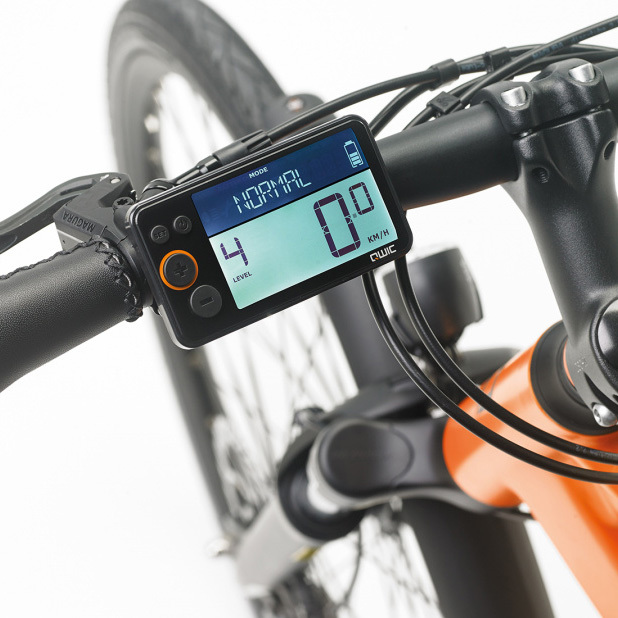 Effective energy management and generous battery sizes give this bike a huge 180km range. A powerful 500W rear motor delivers 45Nm of torque, directly into the rear wheel. Not only suitable for road use, this level of torque makes conquering hills and gradients easy and ensures a sweat-free arrival at your destination, even if it is on top of a hill. The rear drive is fitted with sensors to give dynamic power at optimal efficiency, all helping towards the huge 110 mile (180km) range. 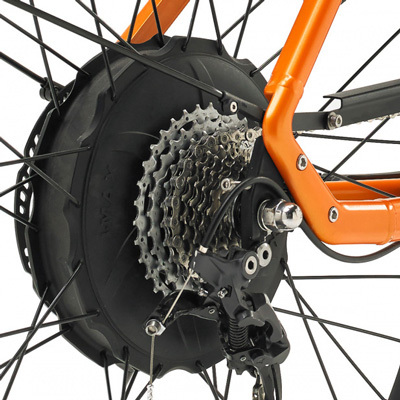 Equipped with powerful hydraulic Magura MT-5e disc brakes, the RD10s has serious stopping power. Featuring double calipers and anti-locking sensors, the brakes have been designed to ensure safe braking even at the higher speeds in all weather conditions. 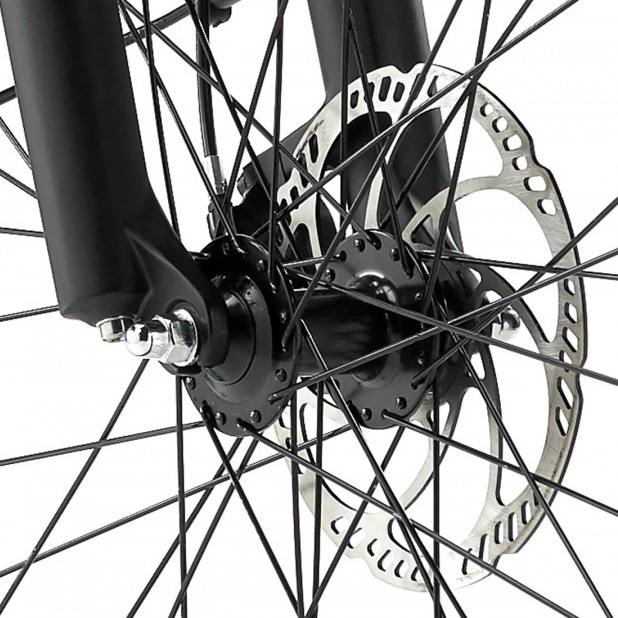 Unlike a car, the disc brakes require minimal maintenance. A Bosch & Muller 150 Lux headlight is integrated as standard, giving a huge level of visibility even at high speeds. 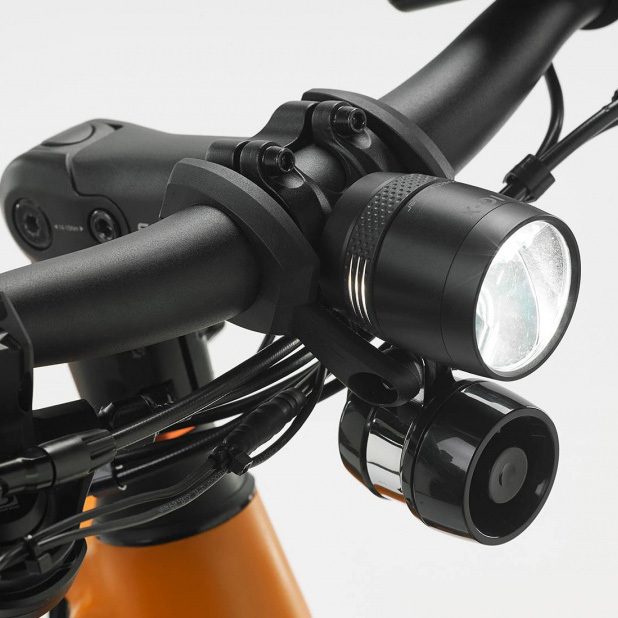 An integrated rear light also ensures other road users can easily see you. A large, easy to read display gives you key information on the move. Unlike some competitors, QWIC ensure their displays are easy to read at a glance. You are able to charge your phone while on the move with the integrated USB port, or separate bike navigation. Due to the higher speeds, an integrated loud horn is fitted as standard. Easily accessible from the soft-grip handlebars, you can let other road users where you are. The large 525Wh Li-ion DownTube battery is fitted as standard and is both easily accessible for charging, while also looking sleek, stylish and elegantly integrated. For extra range, you can upgrade to the 735Wh battery for the full 180km range. 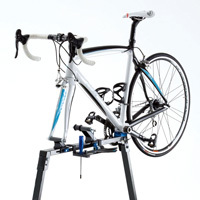 To charge the bike, simply unlock and remove it from the frame for charging at work, home or pub! 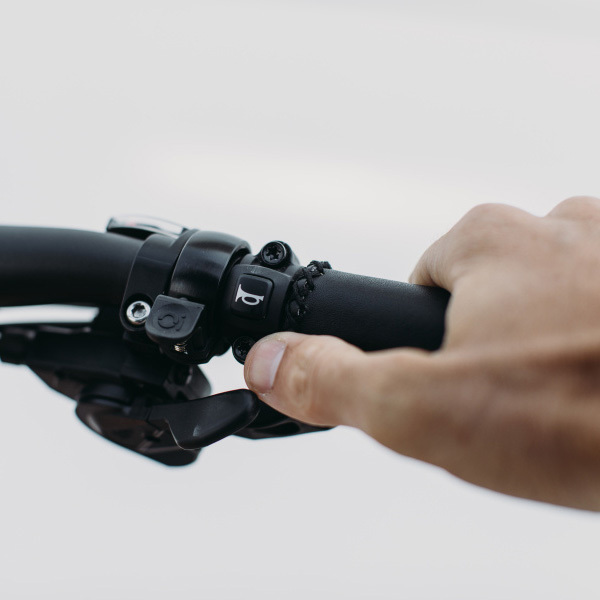 Soft grip handles give long riding comfort, and easy access to the horn, control screen, Magura hydraulic brakes and integrated lights.